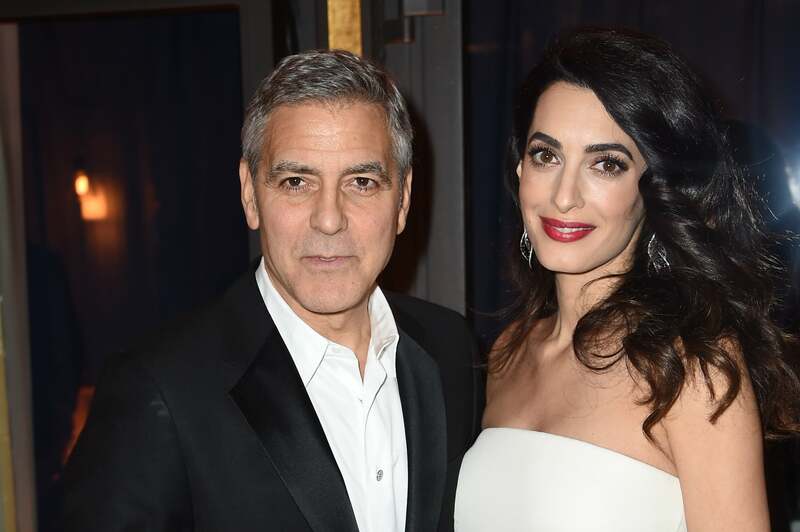 George and Amal Have Taken In a Refugee From Iraq: "He Survived and Came to America"
We already knew George and Amal Clooney have hearts of gold, but now we have even more proof. In their recent joint interview with The Hollywood Reporter, the couple revealed that they have taken in a Yazidi refugee from Iraq and put him up in their home in Augusta, KY. "He was on this bus to Mosul, and ISIS shot the two bus drivers and said, 'Anybody who wants to go to college, we will shoot them,'" George explained. "He survived and came to America. He got through all the checks, and once he got through those, it was like, 'Listen, we got your back. You want to get an education? You want to move your life forward? This is something that we can do.'" The young man is now attending the University of Chicago. As a human rights lawyer, Amal has been fighting to stop ISIS's genocide. She represents human-trafficking survivor Nadia Murad, and back in March, she told BBC News at Six that her celebrity status is helping bring attention to deserving causes. "There's a lot of my work that takes place behind closed doors that is not ever seen," she explained. "I think if there are more people who now understand what's happening about the Yazidis and ISIS, and if there can be some action that results from that, that can help those clients, then I think it's a really good thing to give that case the extra publicity that it may get."